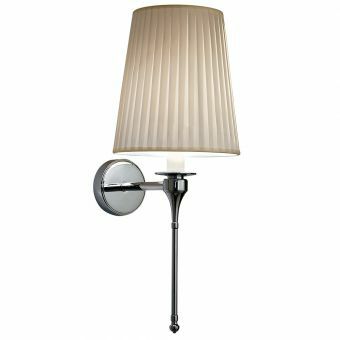 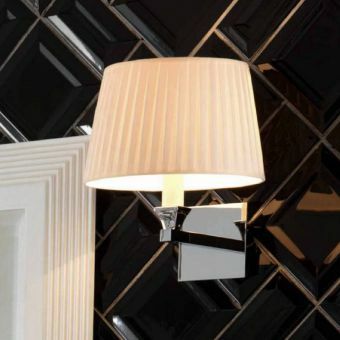 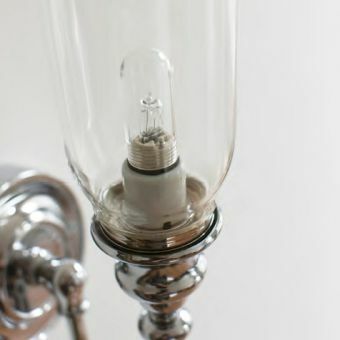 Displaying all the classic hallmarks of the Burlington approach to quality product creation, this ornate light fixture blends frosted glass with chrome to present a highly desirable piece fit for the modern or traditionally themed interior. 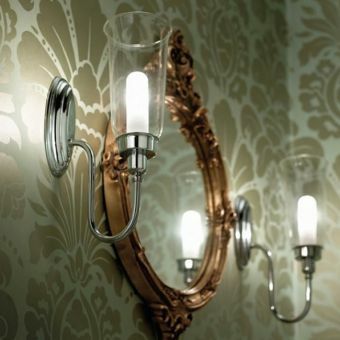 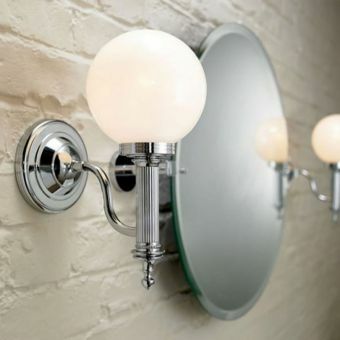 Fitted to the wall, these attractive fixtures provide uplighting for the interior, perfect for those looking to create a calmer environment. 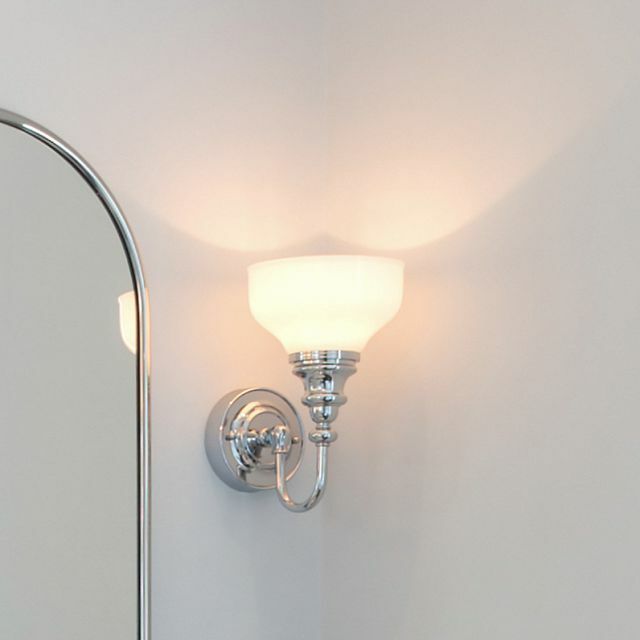 Equally at home throughout the house as the bathroom, they allow the user to fully coordinate each room within a property. 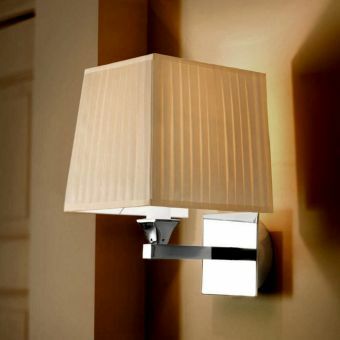 Its attractive cup shape has a floral, tulip aspect to bring a softness to the decor. 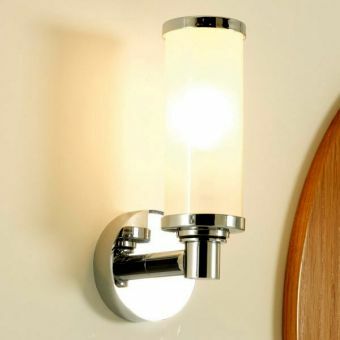 This fitting uses a single G9 bulb, which requires just 28 Watts of power but gives off light equivalent to 40 Watts. 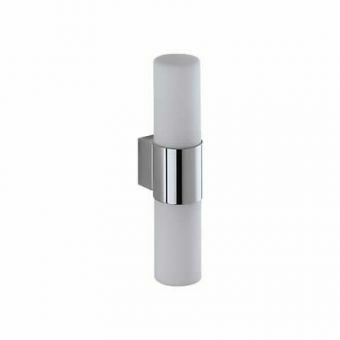 Rated at IP44, this light fitting is suitable for safe use within the bathroom environment zones 2 and 3.